Texas Senator Ted Cruz's has decided to devote last minute resources to attack Senator Marco Rubio in Rubio's home state of Florida. There is also discussion of Cruz going into Ohio to beat up on Governor Kasich in his home state as well. Make no mistake about it. Ted Cruz is smart. Very smart. You could probably double Donald Trump's IQ and he still would not be as smart as Cruz. In addition to book smarts as evidenced by his stellar success at Princeton University and Harvard Law School, Cruz has also been shown to have great political smarts. Cruz's turnout machine continues to regularly beat expectations set by polls. Cruz though is unlikely to arrive at the GOP Convention in Cleveland with the requisite 1237 delegates needed to secure the nomination on a first ballot. But this past week suggested that Donald Trump might not reach that number as well. On Super Tuesday, despite analysists predicting that Trump would win 10 of 11 states, the New York businessman won only seven and nearly lost two others. That was followed up with five contests this past weekend, of which Trump won only two. Both the Florida primary which awards 99 delegates and Ohio set to dish out 66, will be held on March 15th. Unlike those so far, however, the Florida and Ohio primaries are winner-take-all contests. 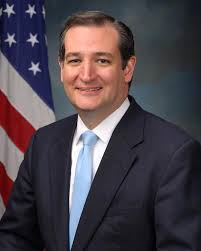 The best scenario for Cruz is that he wins both of them. But that is unlikely, making the second best option that someone not named Donald Trump wins those states. Given that Rubio and Cruz are the most likely candidates for that task, Cruz's attacks against those candidates would certainly seem helpful to Trump. I get the contrary argument. Cruz wants to knock out Rubio and Kasich so that he is one-on-one with the Trump. That makes sense as this race increasingly looks less Establishment v. anti-Establishment and more Trump v. anti-Trump. The results so far suggest Trump would struggle to hit the 50% mark in many states needed to win a two person contest. But is getting to that desired match-up worth handing two rich winner-take-all delegate states to Trump? I don't think so. He might be spotting Trump too big of a lead. There is nothing wrong with having a contested convention. Cruz, even if he finishes second in delegates, is much more likely to win the nomination at the convention than Trump. Outed as a big government liberal with his own questionable ethics (see for example Trump University) that would make it difficult to credibly attack likely Democratic nominee Hillary Clinton, who of course Trump has donated to and praised in the past, few non-Trump delegates would want to see Trump as the nominee. But the Establishment forces running the convention, but not controlling the delegates, are unlikely to attempt to sell to the crowd a presidential ticket headed by an Establishment figure. Instead the concession will be an Establishment-type Vice-Presidential candidate, most likely Governor Kasich given Ohio's importance in the general election. While Florida is also a critical state, I think there is too much animus between Cruz and Rubio for them to share the same ticket. Yes, a contested convention means the ticket is likely Cruz-Kasich. Have you been hanging around Bill Levin again and picked up some of his new grass? No one is going to vote for the Governor of Ohio. Rubio is not popular in Florida. Best you can hope for is a Trump / Cruz ticket . Jeff Roe -- he runs Cruz's campaign -- must believe that Rubio is a lock for the nomination if/when the race goes to Cleveland. If that's the case, then trying to end Rubio's run makes sense. Yeah, I don't buy that that is good strategy. It's hard to imagine a scenario by which Cruz gets enough delegates to win on the first ballot. But it's easy to imagine the scenario by which Trump also falls short. What Cruz is doing is making it easier for Trump to get the delegates he needs. If it does go to a convention fight, I don't see Rubio winning. (Maybe Kasich.) But I still think they'd pick the candidate with the second most delegates - Cruz. Any GOP ticket which includes the liberal, big government con artist Donald Trump is not the "best" ticket for the Republicans.